impact of abuse on victims; power and vulnerability; justice-making and forgiveness. Thank you for this excellent resource. Every Bible College and Seminary should have a copy." "I believe that this story is a valuable addition to the growing awareness of how children have been long sacrificed on the altar of God's work, and that alone will be healing for many of us, so thank you for that." "All God’s Children is a chilling snapshot of what can happen when an institution like the church ignores the signs of abuse: isolated and vulnerable children are harmed and their trauma remains for years." "We had a viewing of this film in our church a few weeks ago. What a powerful and moving film. Every Christian needs to see this documentary. I pray that God will use this film to make a difference." "I was shocked by the last paragraph of the movie which stated that people from over 21 denominations have come forward, but that only 2 denominations have done anything about it. ONLY TWO! How shameful! I hope God will use the movie to move the hearts of those who need to be moved to respond." The tragic implications are clear: All God's Children forces us to ask ourselves, What does it gain a man if he saves the whole world but loses his own children?" 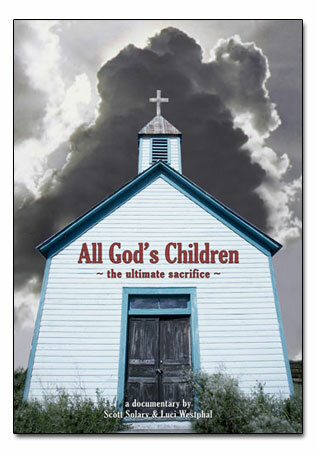 "All God's Children is both a disturbing reminder that the Christian community is not immune to abuse and also a deeply moving case study on the complex dynamics of healing from spiritual, emotional, sexual and physical wounds. The redemptive possibilities that emerge when survivors find the courage to tell the truth and support each other in the process of healing are powerfully illustrated. I recommend it highly." © 2008 - 2009 All God's Children, LLC. All Rights Reserved.